An app to pair beer with Indian food. 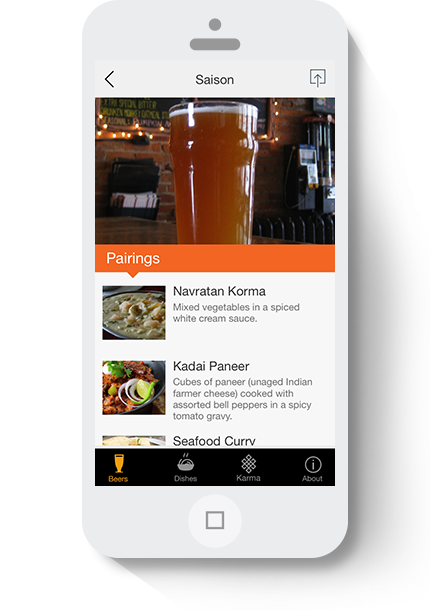 The Moksha Beer iOS App helps guide you with pairing different styles of beer to the ideal Indian dishes. Choose what you want to eat and the app will give you the best beer to drink it with. Already have a beer in mind? No problem! Select what beer you are drinking and the app will give you a list of options to pair it with along with a picture and description of the dish. Moksha Beer's small batch craft brews are created with unique ingredients sourced directly from India that showcase the flavors and taste of South Asia.